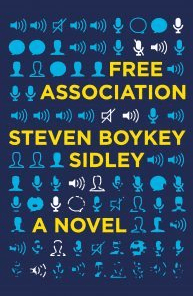 Bruce Dennill has written a review of Steven Boykey Sidley’s new book Free Association for The Times. Sidley is the author of Entanglement, Stepping Out and Imperfect Solo. His latest book takes on the complicated life of podcaster. “I listen to two or three podcasts a day,” says Sidley. “It’s changed my life. I have found such richness in that space. I found it hard to believe that nobody had – to the best of my knowledge – written a book about it. For the complete review, click on the link above.